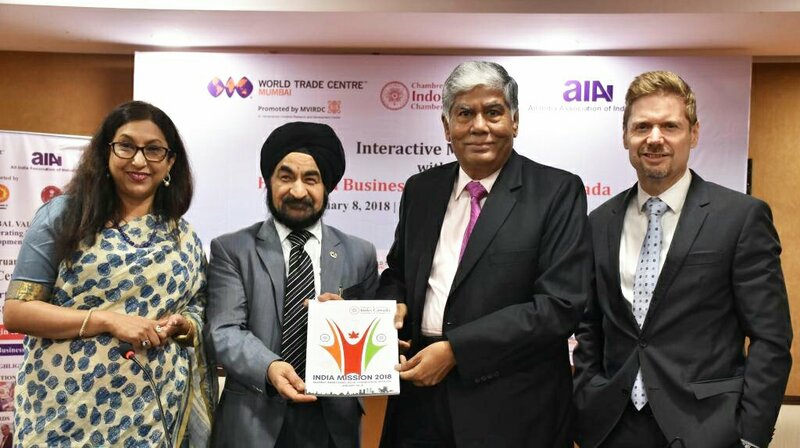 Mr. Kanwar Dhanjal, President, Indo-Canada Chamber of Commerce (ICCC) (second left) presenting India Mission 2018, a book on ICCC’s mission to India to Mr. Vijay Kalantri, President, All India Association of Industries and Vice Chairman, World Trade Centre Mumbai (second right). 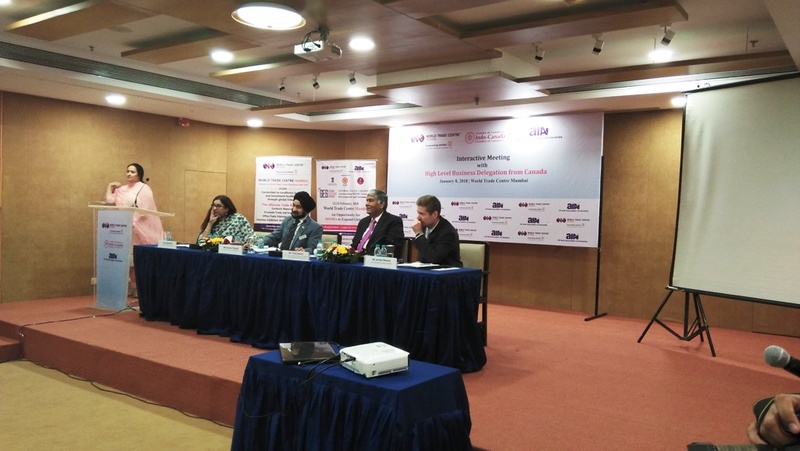 Also present are Ms. Rupa Naik, senior Director, MVIRDC World Trade Centre Mumbai (left) and Mr. Jordan Reeves, Consul General of Canada, Consulate General of Canada in Mumbai (right) at a Meeting organised by the All India Association of Industries (AIAI) and World Trade Centre Mumbai during the visit of 25-member high level delegation from Canada to India. From (L-R): Mr. Kanwar Dhanjal, President, Indo-Canada Chamber of Commerce, Mr. Kamal Morarka, Chairman, MVIRDC World Trade Centre Mumbai, Mr. Jordan Reeves, Consul General of Canada, Consulate General of Canada in Mumbai and Mr. Vijay Kalantri, President, All India Association of Industries and Vice Chairman, World Trade Centre Mumbai at a Meeting organised by the All India Association of Industries (AIAI) and World Trade Centre Mumbai during the visit of 25-member high level delegation from Canada to India. 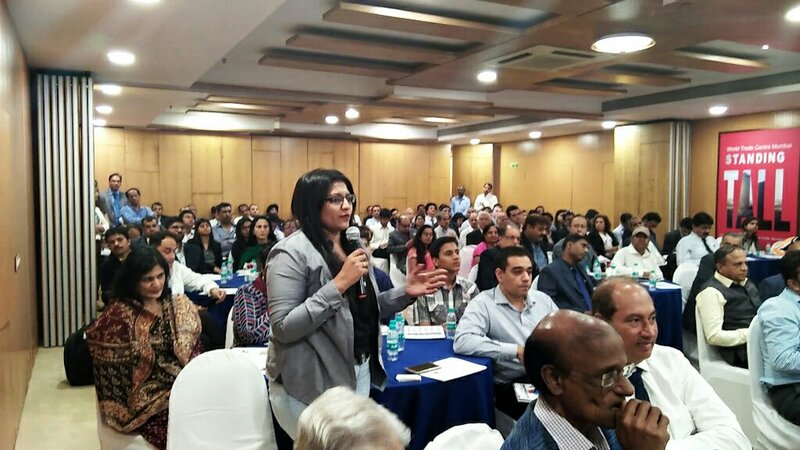 Mumbai, January 8, 2018: Canada’s investment in India in a short span of 10 years is $20 billion by way of equity funds. This is an incredible story. Trade with India is increasing 30% year-on-year besides the Foreign Direct Investment (FDI). 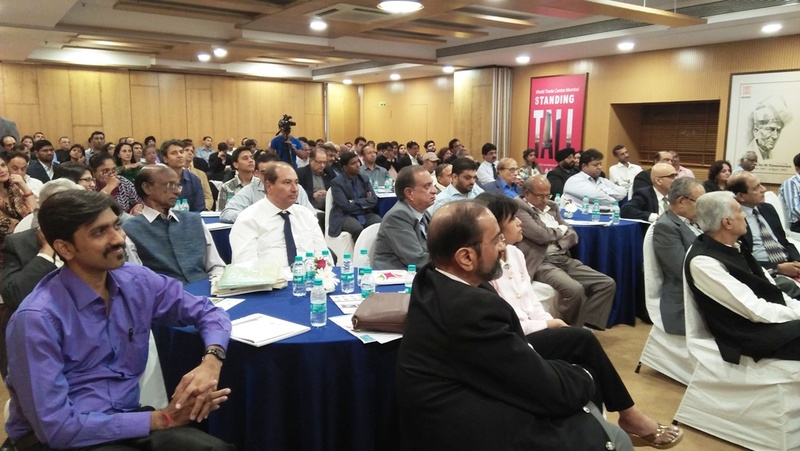 Today, trade is over $8 billion and more than 1000 companies from Canada are doing business with India said Mr. Jordan Reeves, Consul General of Canada, Consulate General of Canada in Mumbai at a interaction meeting at WTC in Mumbai. 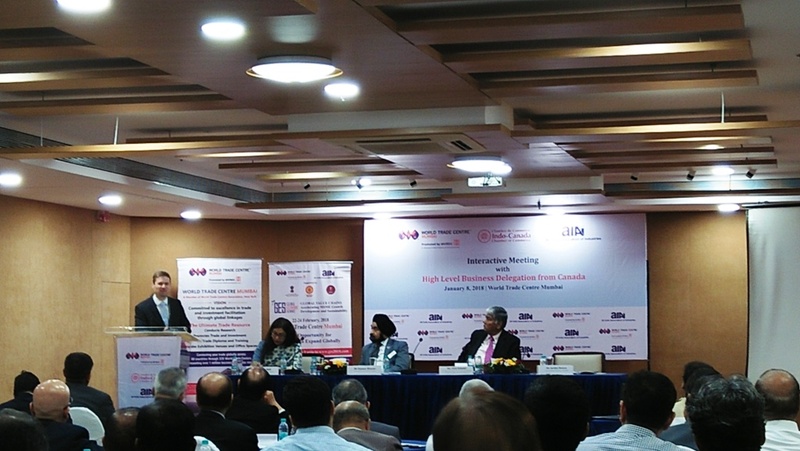 The high level business interaction Meeting was organised by All India Association of Industries (AIAI) and World Trade Centre (WTC) Mumbai in association with Indo-Canada Chamber of Commerce (ICCC) during the visit of 25-member high level delegation from Canada to India to explore the business opportunities and potential of joint cooperation with both the countries on Monday, January 8, 2018 at World Trade Centre. The delegation representing various sectors like agro and food processing, ICT and advanced manufacturing, logistics, financial services, business immigration, education and skill development, put forth and discussed many issues in the meeting which were addressed by Mr. Jordan Reeves Consul General of Canada in Mumbai and Mr. Kanwar Dhanjal, President, Indo-Canada Chamber of Commerce along with a business delegation. Mr. Reeves further stated that there are 1.3 million Indians staying in Canada. There are tremendous opportunities to work in the areas of energy, renewable energy, solar etc. Canada has third largest crude oil reserves and long term gas reserves, Canada is looking forward for Indians to partner in these areas. India being one of the biggest importers of Oil and Gas, having joint ventures with Canadian counterparts for beneficial to both added Mr. Reeves. Canada has also signed an MOU to supply Uranium to India besides looking at partnership in defence equipment, services and textiles, Further, Foreign Investment Protection Agreement (FIPA) and Free Trade Agreement (FTA) negotiations between India and Canada if concluded earlier than there is no looking back on investment and trade opportunities stressed Mr. Reeves. 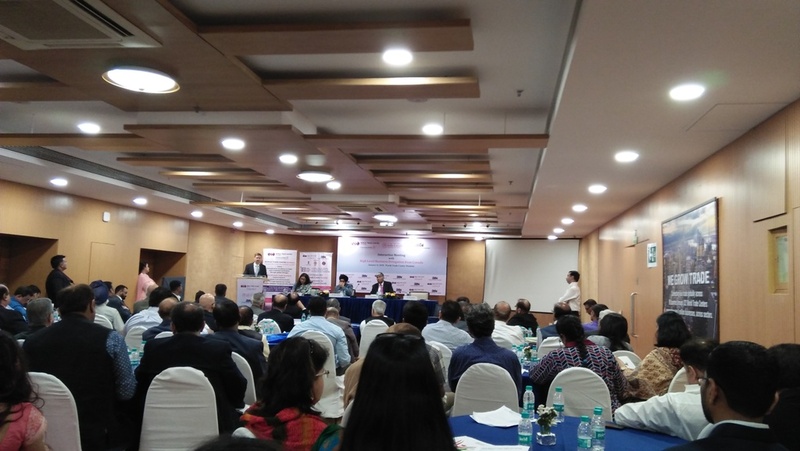 Mr. Kanwar Dhanjal, President, Indo-Canada Chamber of Commerce (ICCC) leader of the trade mission to India, said that the trade mission to India has become an important annual event in the Chamber’s calendar. 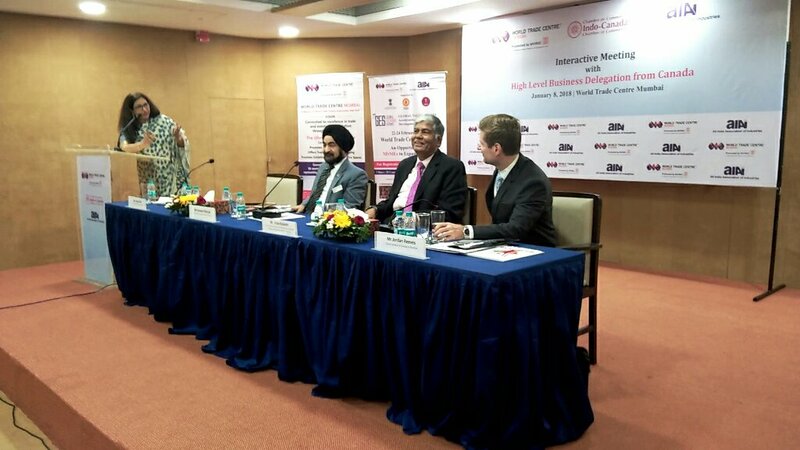 It is the time when the Chamber fulfils its objectives of fostering bilateral trade relations between Canada and India and simultaneously also creating business and professional opportunities for the Canadian small entrepreneurs. The two-week multicity trip to India focuses on multiple sectors that are or are likely to be significant to the bilateral trade between the two countries. ICCC closely works with AIAI and WTC to promote bilateral trade relations. Mr. Dhanjal further added that another indication of why India remains the focus of the world’s investors is a recent Bloomberg report. Foreign investors are flocking to the Indian capital markets in a big way with a net inflow of over $30 billion of so-called hot money in 2017 with equities alone getting over $8 billion – an amount bigger than the cumulative investment of the previous two years. As the year draws to a close, the Indian stock market seems to have regained its status as one of the most favoured destinations for foreign portfolio investors. A sharper turnaround was seen in 2017 in terms of FPI inflows into debt markets where the net investments have soared to a staggering $23 billion. The ICCC has, during its four-decode existence, promoted the idea of Canada casting trade net wider than just focusing to the south, where undoubtedly the market is humungous. Now is really the time for Canada to rapidly expand its trade relations with India and achieve a quantum leap by attempting to reach a three year old target of bilateral trade worth $15 billion stressed Mr. Dhanjal. Mr. Kalantri suggested setting up of a reciprocity cell to facilitate Canadian SME sector to identify right partners in India. 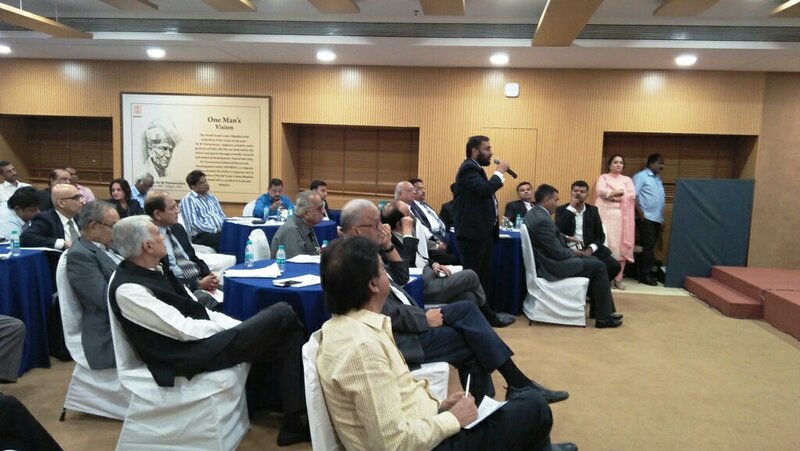 Further, All India Association of Industries and World Trade Centre Mumbai could look at ways to further strengthen Indian Canadian bilateral relations.